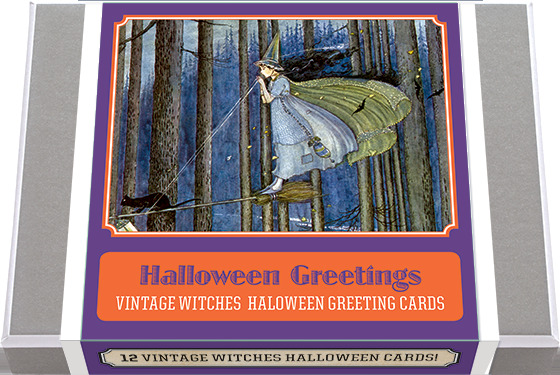 Six appealing witches, from youthful to elegant, drawn by a variety of artists, make up our box of twelve cards: two each of the six designs, accompanied by envelopes. Six appealing witches, from youthful to elegant, drawn by a variety of artists, make up our box of twelve cards: two each of the six designs, accompanied by envelopes. Made in America with high quality paper and packaged in a deluxe, keepsake box.